Dental implants are a very effective dental procedure and long lasting way of replacing missing teeth, while cost tends to be higher than other traditional forms of teeth restoration like bridges and dentures. The procedure of Implanting teeth or Implantology is targeted for not only aesthetic appeal and functionality but for physiological drawbacks some people may have regarding their teeth loss. The implants we use here at our dental clinic in Smilerite are the best quality. It’s a titanium structures similar to a screw, which are implanted into the mandible or maxilla, which supports a crown or prosthesis. 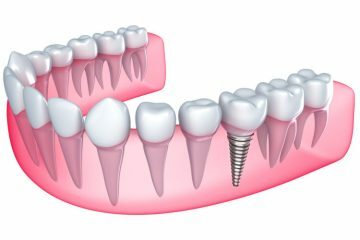 Dental implants increase the reliability and durability of the screw-implant that goes into the bone; they are designed with a special patent, where the surface of the implant makes the bone “catch” them and therefore makes it become part of the bone. There are several steps involved in the implantation of teeth. These steps vary with a number of factors for example bone loss which may require Bone Graft, a Sinus Lift and Ridge expansion. Bone grafting is a safe and highly successful procedure that involves the “building up” or adding bone to the jaw by using your own natural bone from another location and/or by using donor, processed or synthetic bone materials. Often the new bone can be obtained from inside the mouth. Missing upper back teeth are among the most difficult to restore. When the back teeth in the upper jaw are missing the sinus cavity becomes larger as the natural bone deteriorates over time. A sinus lift, also called sinus augmentation or sinus elevation, is a bone-augmentation procedure for patients who have an insufficient natural bone in this area for dental implant placement. The procedure involves adding bone below the sinus so that one or more implants can be placed. The procedure does not affect speech, intonation or cause sinus problems. If the jaw isn’t wide enough to support dental implants, bone graft material can be added to a small ridge, or space, that is created along the top of the jaw. 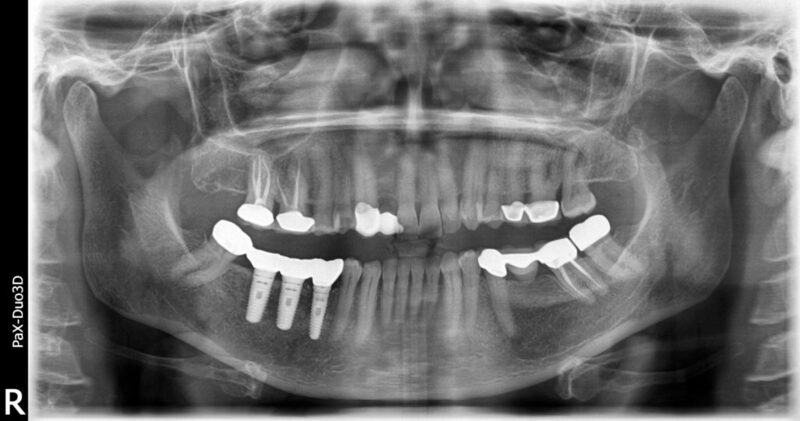 In some situations, implants can be placed right after a ridge expansion. Other situations require approximately four to 12 months to ensure that the ridge has fully healed first. Like all bone grafting techniques, ridge expansion helps ensure a strong foundation and long lifespan for your new teeth. It also can be used to correct an unattractive and difficult-to-clean indentation that can occur in the jawline near missing teeth. 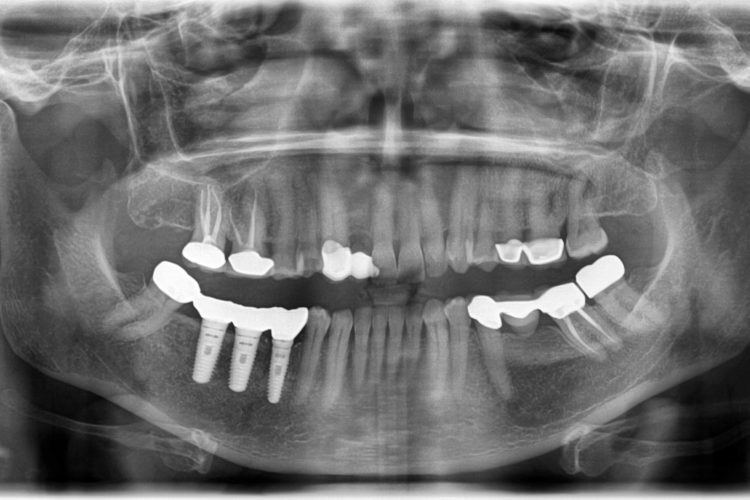 After the bone is completely healed you would come back to attach the crowns, bridge or denture to the implants. The whole implant process can take anywhere from 1 week to 6 months depending on many factors. What are the Benefits of Getting Dental Implants? Durable and stable. Implants are a long-lasting replacement option for teeth that are missing or have been damaged beyond repair and are in need of extraction. Due to their many benefits, dental implants are considered the modern gold standard for tooth replacement. A function like natural teeth. Reliable and stable, a dental implant restores a lost tooth so that it looks, feels, fits and functions like a natural tooth when inserted by an experienced implant dentist. Last a lifetime. When properly cared for, dental implants can last a lifetime, making them one of the best investments for long-term tooth replacement. Studies have reported that the long-term success rate of implants is over 95%. Chewing and talking are made easy. Dental implants can help improve overall health. With strong, full functioning teeth, patients can expand their diets and eat healthier foods again, like nuts and fruits.